Is your vehicle ready for winter? 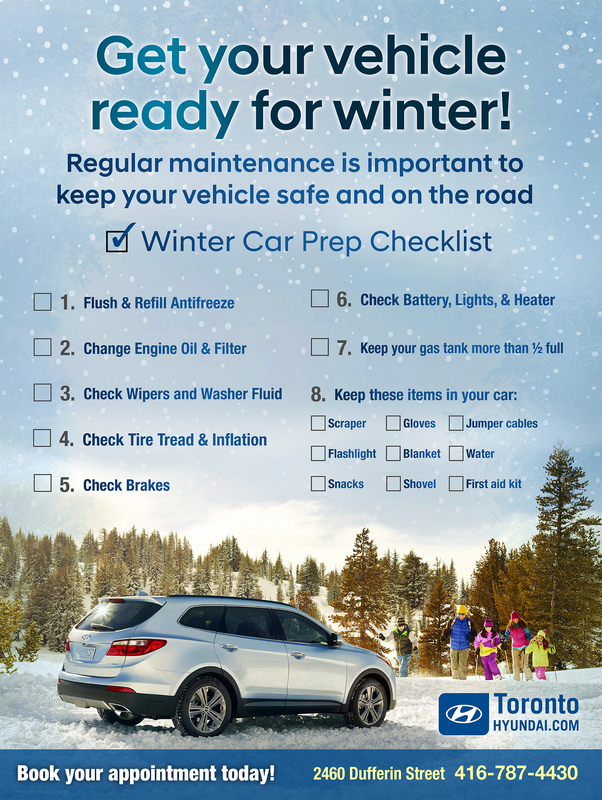 Make sure you check off every item on this list to ensure your vehicle is safe and prepared for winter road conditions. Click here to check out this year’s winter service promotions.